For the children we serve, living on the streets of Ethiopia, it means 10 years of having a place of refuge from street life, with access to food, water, and clean clothing. It means 10 years of help toward restoration of school, and family. It means 10 years of being seen as a whole person, and not just a nuisance. For children like Abel, (pictured above, leading worship for a group of our students) it means years of growth. He, like countless others, is now safe - healthier, stronger, and full of great potential as a result of the work behind these 10 years. He has Lasting Hope, and a future. He knows that he has value, to the Lord (most importantly) and to his fellow citizens. 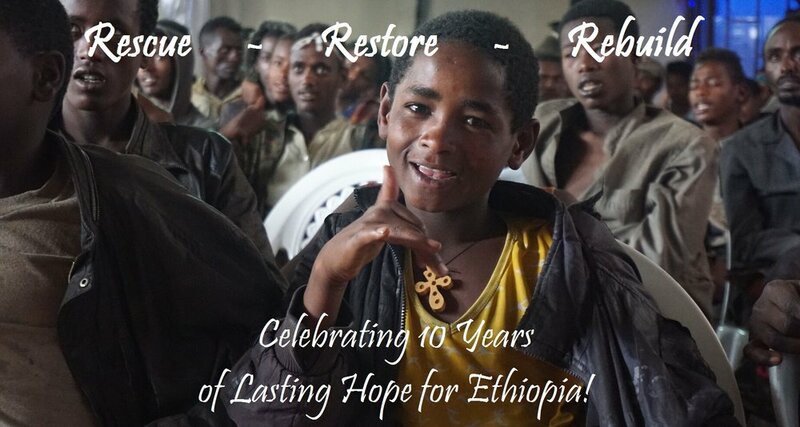 As we take the time to celebrate these 10 years that God has given The Forsaken Children, we also are excited to look ahead at the next 10, 20, 30 years and beyond. God has given the growth - in the children we serve, in our team and impact. God surely has great plans for the future, for His glory and for these precious souls that matter to Him. Our team on the ground in Ethiopia will continue to grow in their work to Rescue, Restore, and Rebuild the lives of the most vulnerable - children living on the streets of Addis Ababa, and those at risk. Our team will continue to trust in the #GodSizedGrowth that He will bring.